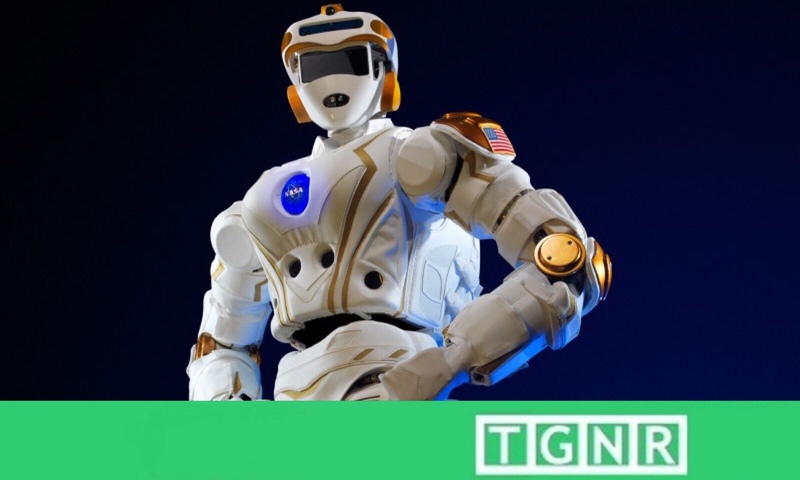 Edinburgh, UK– The NASA humanoid robotic astronaut, “Valkyrie,” technically known as R5, is being perfected to eventually explore the surface of Mars. R5 has begun the next phase of its mobility and sensory testing at the Edinburgh Center for Robotics (ECR). To further R5’s ability to navigate and move within variable environments, ERC is working to enhance its abilities to consistently achieve natural human movement. Valkyrie’s arrival at ERC is a major step forward in the human exploration of Mars, and potentially the ability to remotely navigate and manipulate disaster zones on Earth. It is NASA’s goal to make Valkyrie its first fully capable “robot astronaut.” With such an ambition Valkyrie requires special trials only ERC experts can provide. The robot astronaut Valkyrie, known as unit R5, holds NASA’s greater aim to emulate the units symbolic mythic namesake by helping to create its own version of Valhalla on Mars. Among the countless tasks R5 could undertake, its greatest foreseeable role is helping to establish a human colony on Mars. R5 looks to perform the required research to better understand Mars impact on human physiology. If humans are to create a permanent living habitat on the Red Planet, Mars must be tested for human suitability using humanoid form. R5 may also provide a great deal of assistance in building and maintaining such a colony. Though why not take another form? The greatest importance of R5’s design is its user friendliness to those who are less familiar with the application of current robot’s, few of which are humanoid in shape or application. The unit by design is an intuitive coworker for its fellow astronauts. With that unique characteristic, R5’s potential expands exponentially when considering the challenges of exploring space. However creating a robotic unit, one that possesses all natural human form and movement is no small task. R5 incorporates a highly complex design to achieve that end, and has a foreseeable crucible ahead. There are many challenges that come with the creation of a fully functioning humanoid robot designed for incalculable use. According to NASA, Valkyrie contains 44 movable joints to co-ordinate its motion and balance. R5 also has an advanced sensor array to scan and map its surrounding environment with precision, so it may accurately navigate any area it encounters. If R5 lives up to NASA’s grand desire, its possibilities for use are endless. The R5 unit stands roughly six feet tall, and weighs a robust 300 pounds. To accomplish the incredible tasks involved in reliably performing human movement, R5 requires intricate training encountering variable environments during its tenure at ECR. The R5 unit will also further its ability to operate in humanoid form by undertaking advanced kinesiological testing, as well as furthering its sensory perception capabilities. R5 is not merely a Mars rover in human form. The R5 unit can potentially perform a myriad of vital tasks on Earth. Given R5’s design for durability in alien and other inhospitable atmosphere’s, the unit can potentially be used to help aide emergency efforts. The types of emergency uses for R5 include entering and manipulating biologically contaminated areas, or even be indispensable during a nuclear incident. New Imaging Device Can See Inside Human Bodies: The Final Frontier of Imaging? The Valkyrie unit was first debuted in 2013, and designed with a high priority on its durability. There are currently 5 such units constructed, and R5 can be deconstructed with little effort, and shipped expeditiously without fear of damage. Technology used prior and at present in the exploration of space runs the gauntlet regarding their delicacy. The R5 is designed to last, and appears to be more than just another beefy chap.